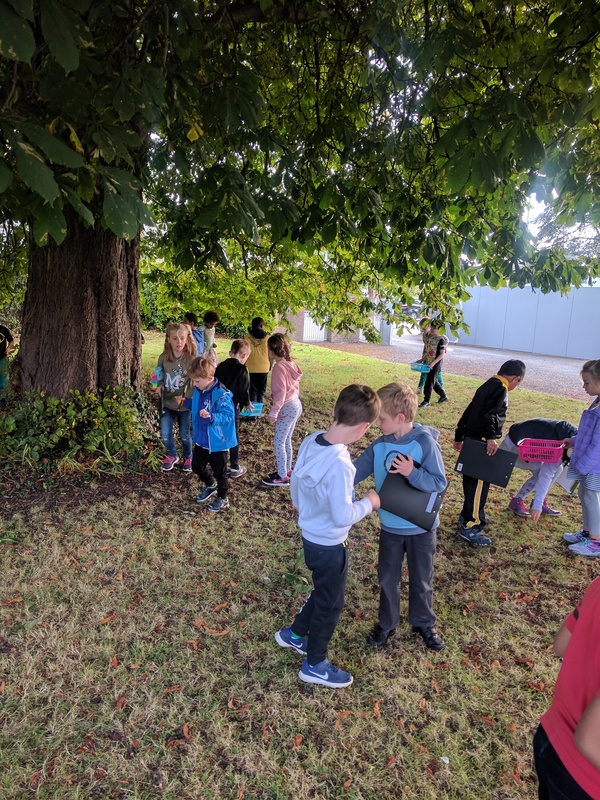 It was a beautiful bright autumn day this morning and First class enjoyed an autumn walk in the grounds of the school. 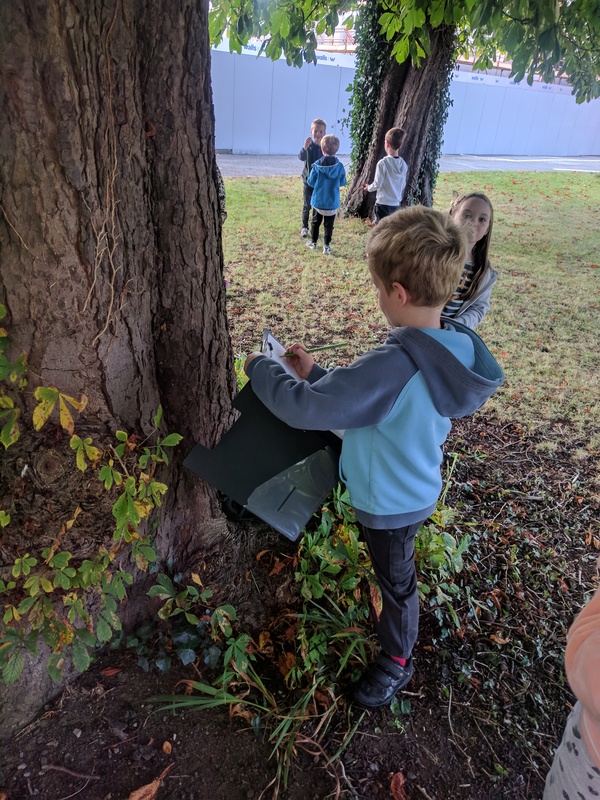 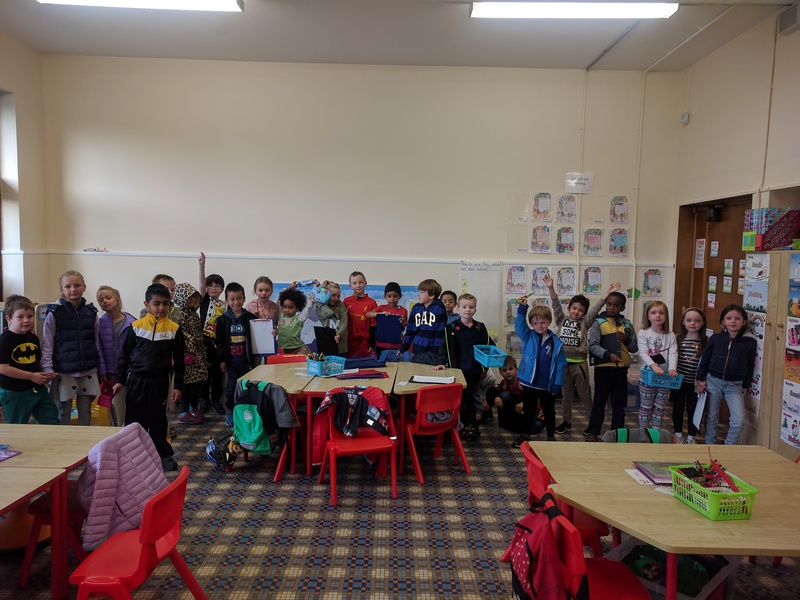 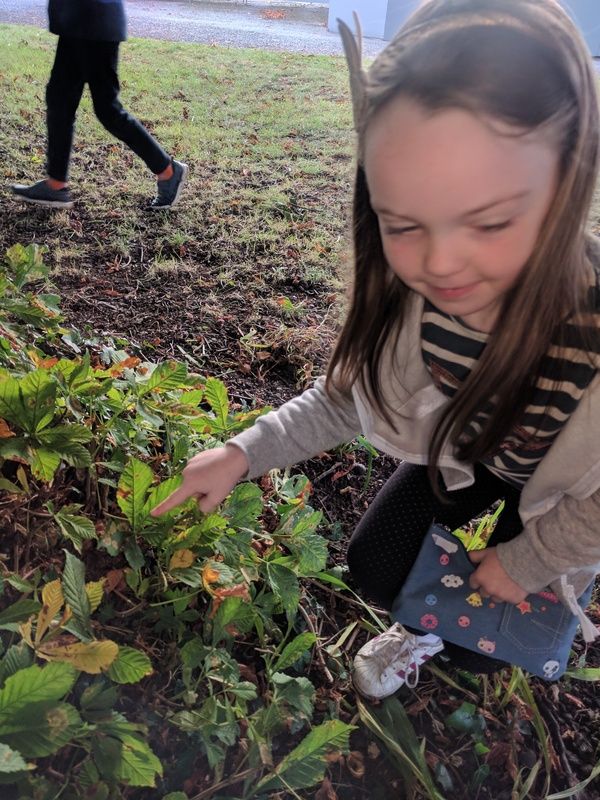 We have lots of keen observers in our class and we were able to identify many of the plants, insects and trees in the grounds including the horse chestnut tree, rose hips, blackberries, ivy and willow. 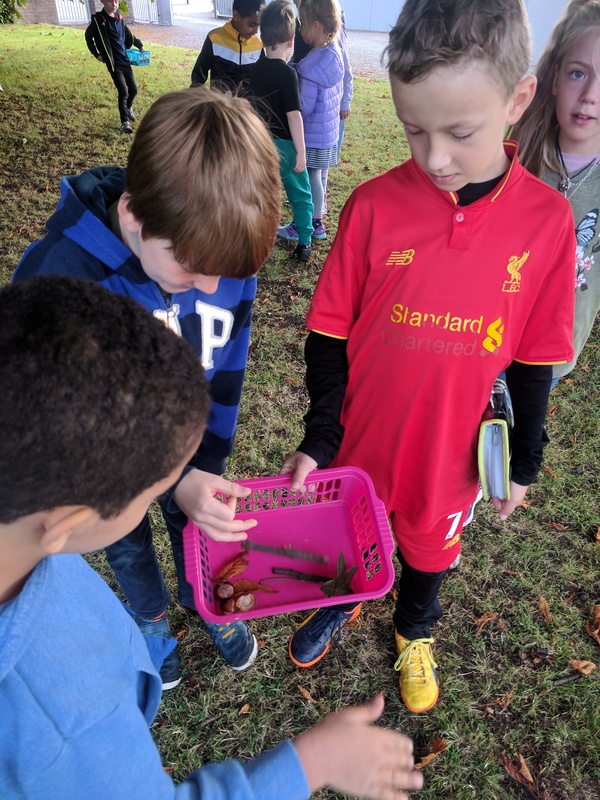 We also noticed the changing colours of the autumn leaves and we look forward to seeing how the leaves and trees change over the coming weeks. 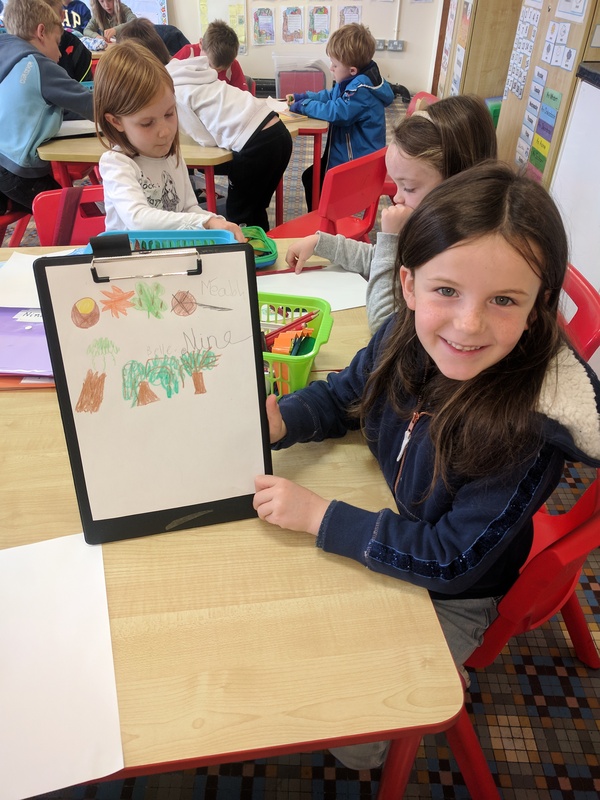 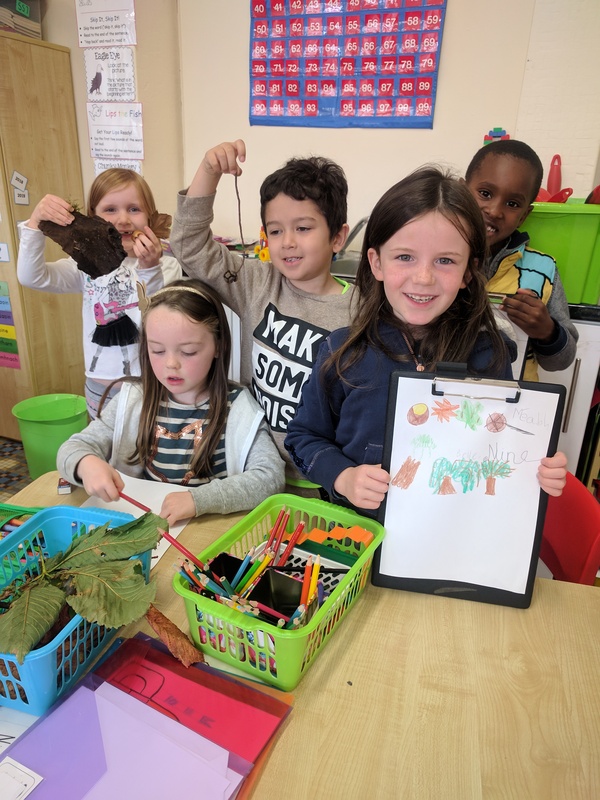 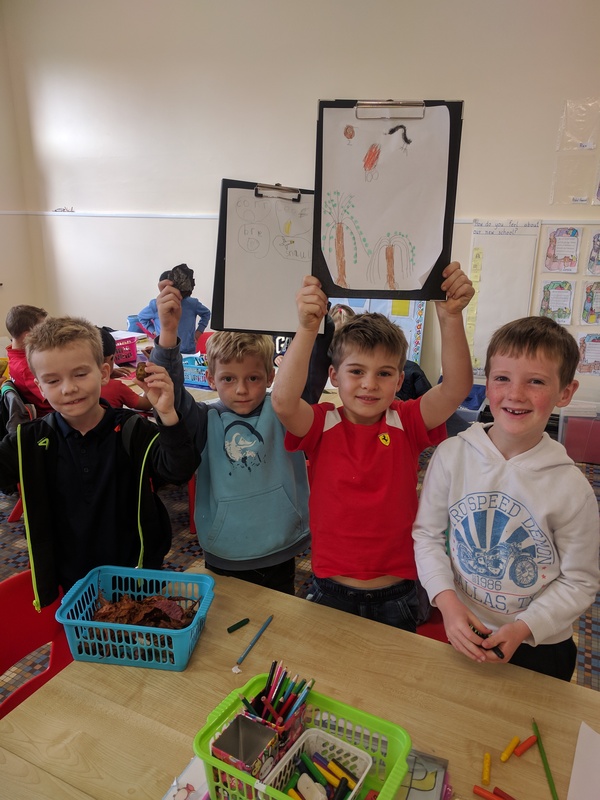 When we returned to the classroom we made leaf and bark rubbings and drew fantastic pictures, with great detail showing what we had seen on our walk.